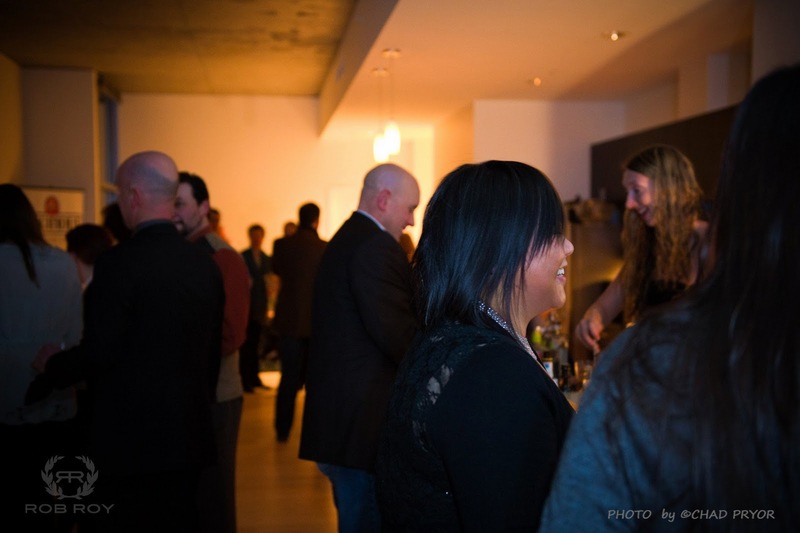 Earlier this month some of the members of LUPEC attended the Tales of the Cocktail mini event in Vancouver, BC. We had a great time! I wrote a piece about it for my blog which I'm re-posting here. 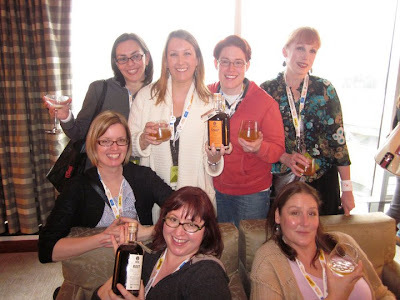 Additionally there was this great shot of us in the Root tasting suite on Facebook. For the first time Tales of the Cocktail decided to do a mini event and they chose Vancouver, BC for the location. Lucky for me as it is super close, I have friends to visit up there and it's a great drinking and eating place to go. Luckier for me some of the LUPEC ladies and their significant others decided to go too! Instead of having seminars over multiple days, this mini Tales had you choose 3 seminars all on the same day. Here's what I went to on Monday March 14th. 10:30am: Famous New Orleans Cocktails. A really nice history of the cocktails that were born and bred in NOLA as told by Chris McMillian (bar historian extraordinaire) and Philip Green (descendant of the Peychaud's family) from The Museum of the American Cocktail. We started the morning with a Sazerac and learned that it was one of the (if not THE) very first cocktail originally "prescribed" by pharmacists to cure what ails ya. Next we were served a Julep along with information of the Juleps and Sherry Cobblers being the original ice drinks. America was first with the building of ice houses and thus America invented the first ice cocktails. In pre Civil War times the Mint Julep was made with Brandy or Rum (to be honest that is still my preferred Julep). 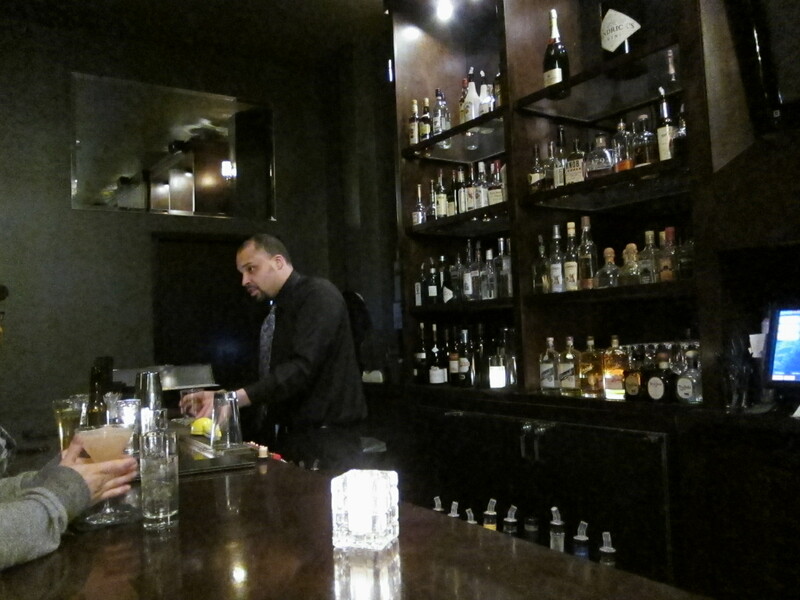 Moving on to the Ramos Gin Fizz we learned of Henry Ramos, the most noted bartender in New Orleans. His bar was not a loud and brash joint but a very upscale retreat for gentleman (ladies weren't allowed in bars at the time). His Gin Fizz was a beloved cocktail and he made it and other libations until Prohibition came into law. On that day he closed his doors and people have been messing about with the original recipe since. There is a great article that was discussed posted here (along with the original recipe). And as part of our education on Mr. Ramos we all shook up a Gin Fizz for our 3rd drink of the morning. During Prohibition we learned of Izzy & Moe, the notorious alcohol enforcement agents who would dress up in elaborate disguises to find illegal booze and the bartenders/speakeasy's who were providing it. Of course these hard working agents relaxed in their off time with beer and whiskey. And last but not least we learned the sad tale of the Hurricane. A once delicious cocktail developed to use up the mass quantities of rum that a certain Pat O'Brien bar owner had in his inventory. 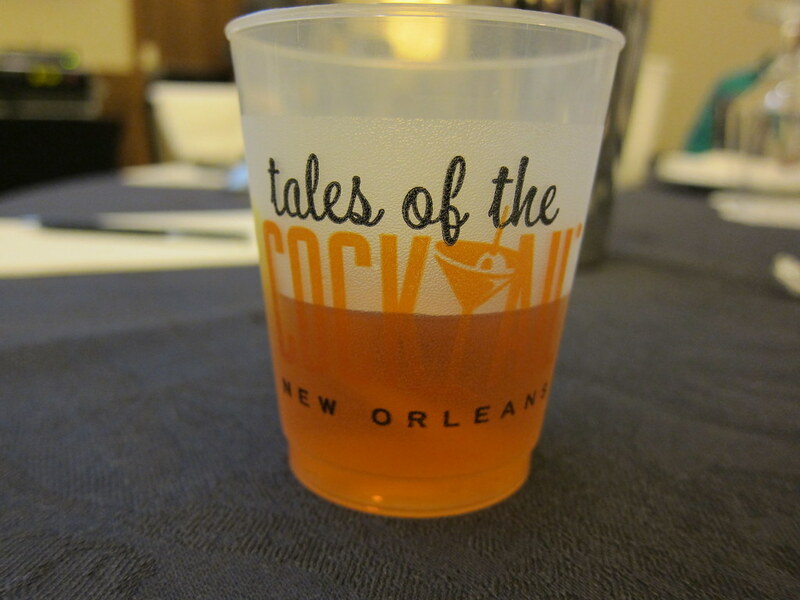 Marketed to whiskey loving New Orleaners by serving it in a big fancy glass it became a hit. No one knows how it evolved to the slushy regret abhorrence of today, but a real Hurricane is still a great cocktail! 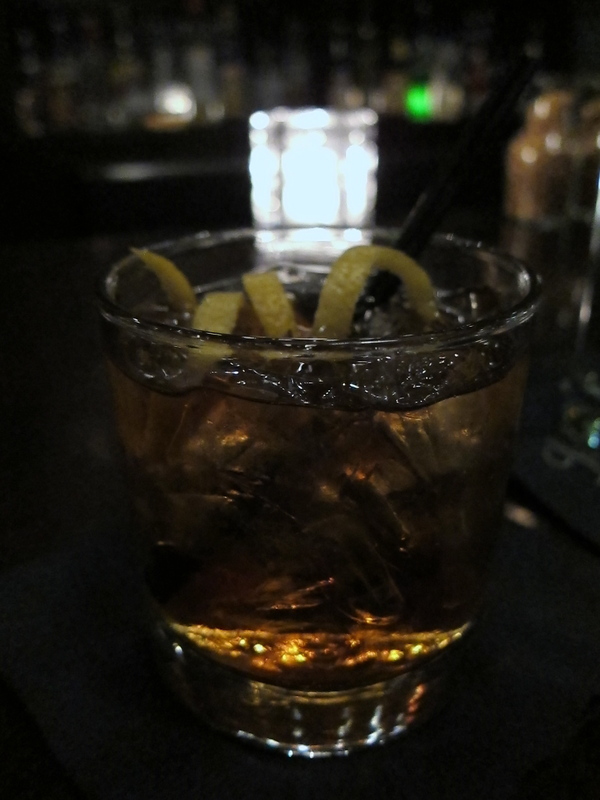 1:30pm: The History and Importance of Ice in Cocktails. 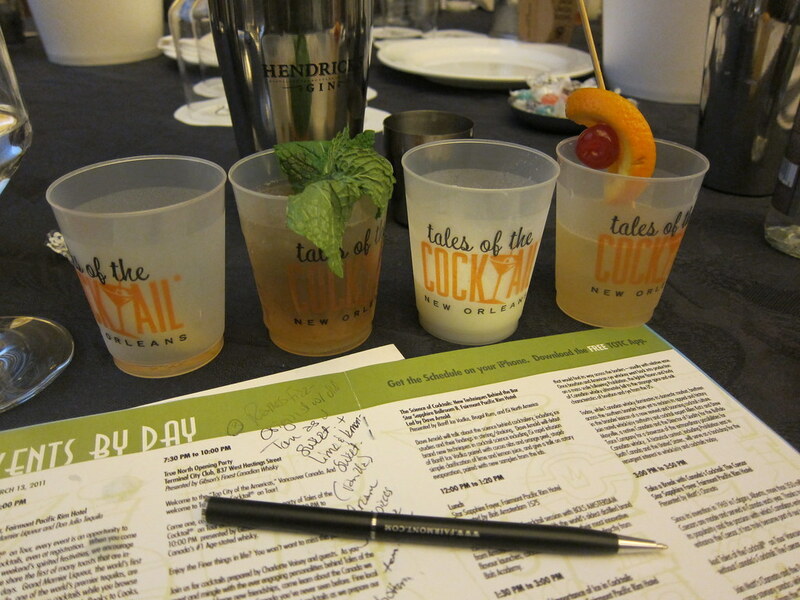 Hendrick's ambassadors Charlotte Voisey and Jon Santer's seminar had the best swag ever. Seriously! Hand made Lewis Bags from Allison Weber of Portland and gorgeous wood muddlers to use with them. Charlotte started by telling us all about Fredrick Tutor, the first person to harvest ice for business, to build and control ice houses to store the blocks and take ice to Havana (as well as other warm weather places). He was a man of great vision and without him we'd probably be drinking warm gin and tonics as the Europeans still do! 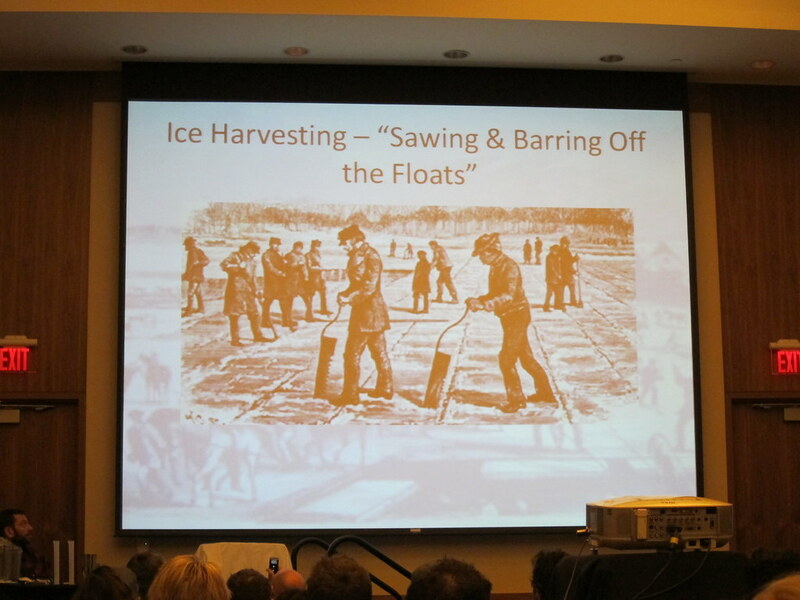 She discussed refrigeration and it's importance to the time period as well as how ice is actually harvested. Jon then stepped in and gave us a little lesson about Nathaniel Wyeth, an ice harvester who created just about every ice carving tool still used today. Jon demonstrated how different ice (of both size and shape) dilutes and what size is better for various drinks. We were served two Cobblers, both without ice but using our new Lewis bags we crushed ice and heaped it into one of them. The other got just a few pieces. After a bit we tried both to see how cold and dilution affected this classic drink. And we learned that if you looked at the the crushed bits of ice they looked like cobblestones, hence the name. Then Jon pulled out his chain saw and cut up a huge block of crystal clear ice. People donned plastic rain parkas. Of course he did and of course they did, this is Tales after all. 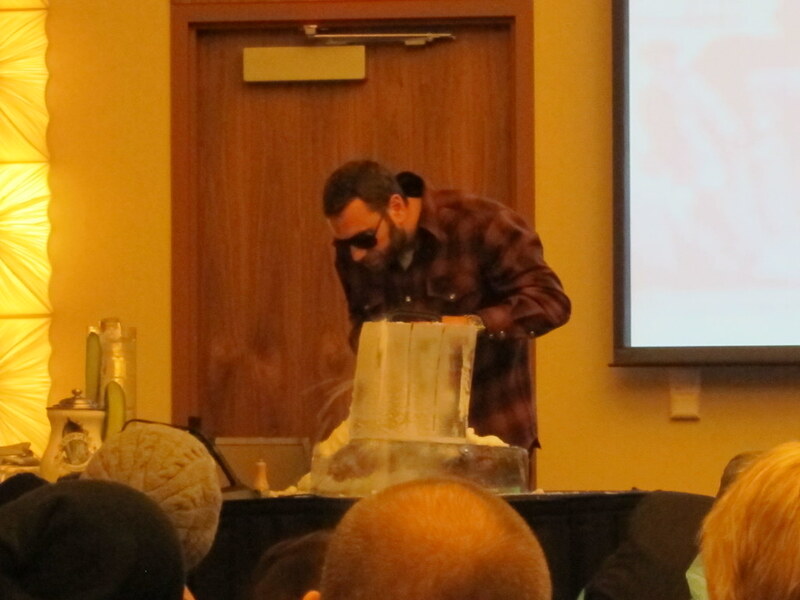 Fun tip from the seminar; fill balloons with water and freeze, peel off balloon for different sized ice. I'm making balloon animal ice for our next party. 4:00pm: Who's Your Daddy? A Mai Tai Paternity Test. 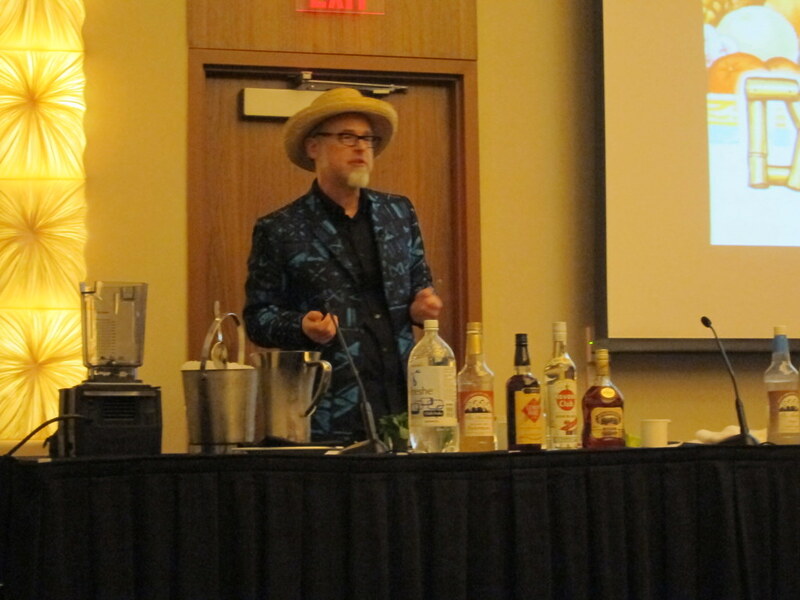 Jeff Berry, the most passionate and dedicated Tiki drink historian around, finally answered the question of who invented the Mai Tai. We listened to "testimony" about Harry Owens, Trader Vic and Don the Beachcomber while sipping on various Mai Tai recipes. There weren't any objections and the court most certainly was not in order but the slide show was full of vintage recipes, vessels, bars and island girls. At the end of it all we came to the conclusion that Don the Beachcomber created something called the QB Cooler which may have influenced Trader Vic in his mixing but the Mai Tai is all Vic's. Mix all ingredients and shake with ice. Strain into a glass over crushed ice. Garnish with lime shell and a sprig of mint. 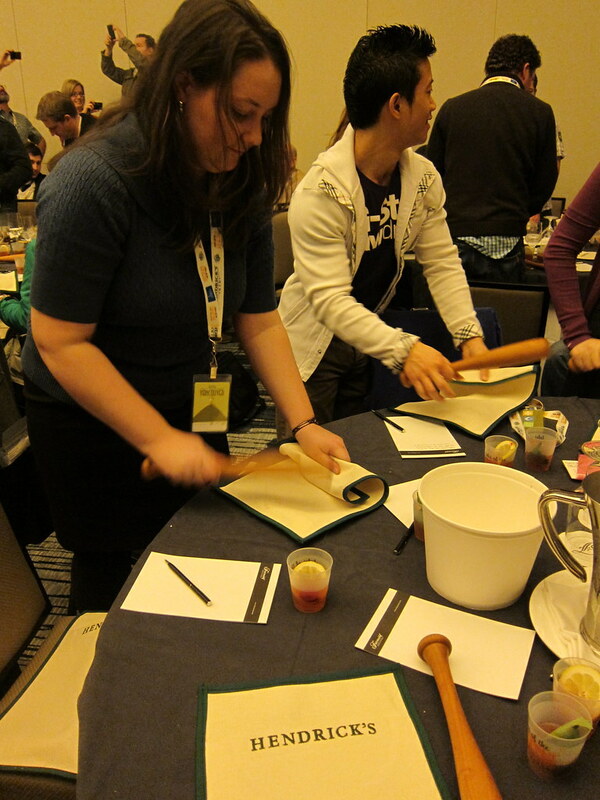 Of course Tales isn't all seminars and notes. 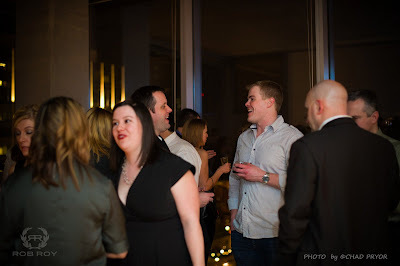 There were parties, cocktails and bar crawls, soup dumplings and midnight croquet, delicious dinner and tasty cochon de lait lunch. Laissez les bon temps roulez, eh? 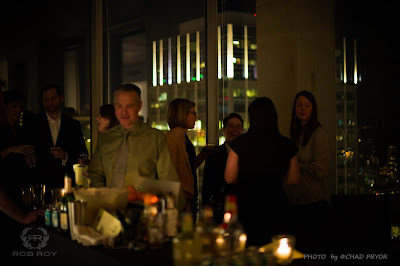 Earlier this month the ladies and I met up at Suite 410 in downtown Seattle. This little bar has recently re-opened after being closed for about 2 years and is now being managed by the folks across the way at the Mayflower. Bartender Andre took care of us by making drinks both on the menu and off. 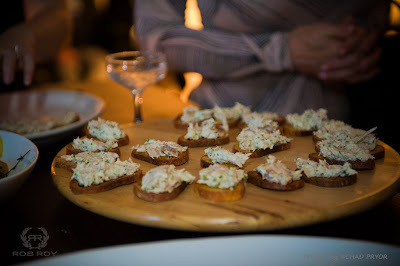 The bar also provided some light snacks of cheese, crackers and a spinach dip. 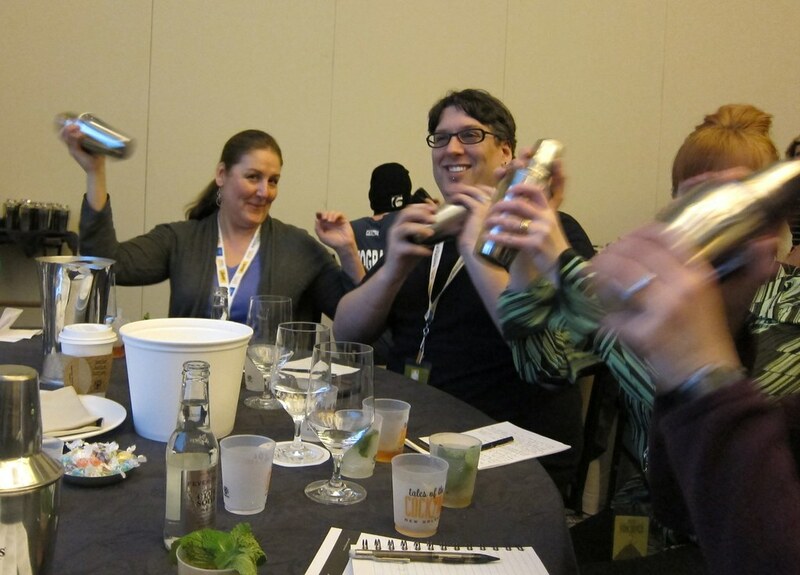 Most of the drinks were really quite tasty (not all the liquor he has to work with is top notch) but I think the fan favorite was their Manhattan Transfer. It was a relaxing evening just spent chatting about cocktails while imbibing in them. Cocktails for a Cause, Success! It was LUPEC Seattle's first ticketed event to raise money for a local women's charity, this time the Jubilee Women's Center, and it was a great success! 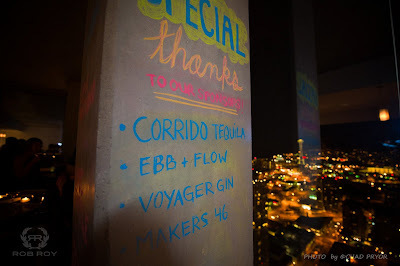 Held in the Aspira Penthouse in downtown Seattle, we couldn't have asked for a more perfect evening. 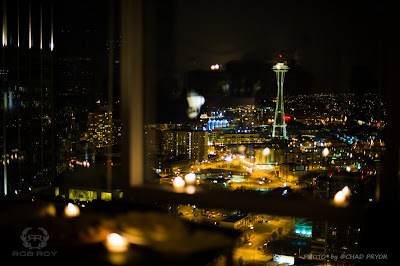 Clear skies coupled with floor to ceiling windows equaled amazing views of Seattle, the Sound and Lake Union. You know the view is gorgeous when everyone who enters stops to gaze before even ordering a cocktail! 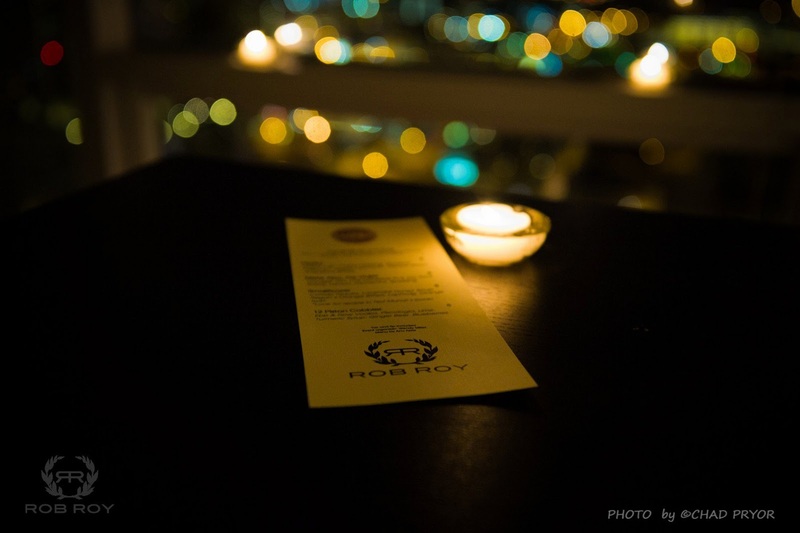 Anu Apte, owner of Rob Roy created all the wonderful libations while LUPEC Portland lady Jenn Hegstrom and LCL creator Ted Munat shook and served. We were so lucky to have such great sponsors: Makers 46, Voyager Gin, Corrido Tequilla and Ebb & Flow Vodka. Everyone got 2 cocktails included with their ticket price, those who brought a clothing donation got 1 more. And all the drinks were only $8! Ethan Stowell Restaurants provided us with delicious bar snacks like bruschetta with fresh ricotta & white anchovy or smoked tuna spread; buffalo milk mozzarella; spicy Copa and soft boiled eggs with a dried tuna loin shaving. 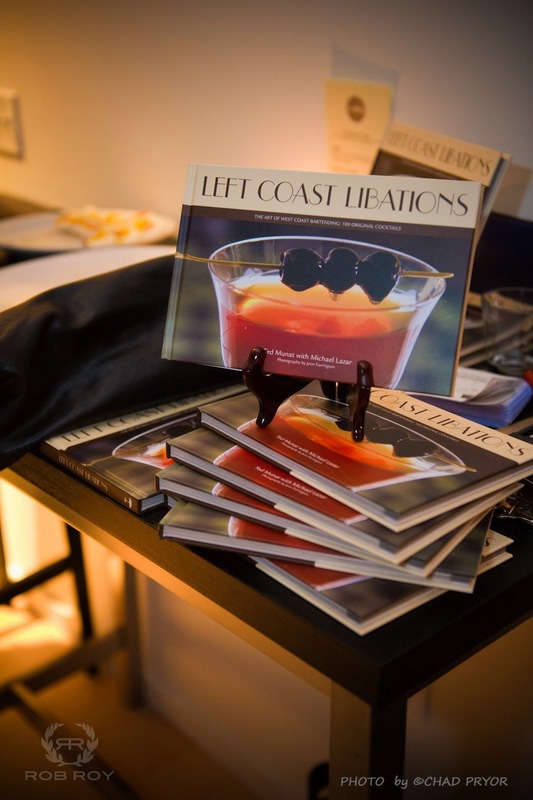 Christina Kuypers was there with the gorgeous Left Coast Libations cocktail book for purchase. Between shaking cocktails Ted was poised with a pen- the autograph king! But of course one of the main reasons were were having this party is to give back to our community. On Monday I went to Jubilee with a whole car load full of clothes. The center was so surprised and excited, we filled their lobby with bags and bags of really nice stuff. And then I mentioned I had a check for them for $500 and they were THRILLED! This was all a surprise and they couldn't believe we picked them as a worthy cause and donated. 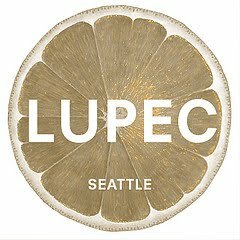 So THANK YOU again to all of you who bought tickets and came out in support of LUPEC and Seattle's community. And THANK YOU to our sponsors and worker bees. 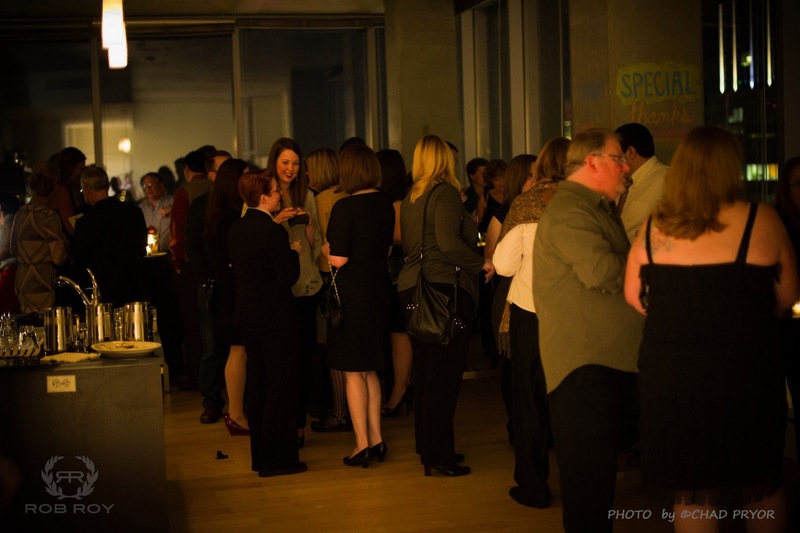 We hope to do more of these types of events this year. Suggestions? Put them in the comments please!